Sweet Annie (Artemesia annua) is a type of wormwood plant available in almost all continents. Its seeds are fairly small. It has yellow flowers and leaves that resemble common ferns. This herb can grow up to 8 feet. It can easily be mistaken as a common garden weed because of its rather bland appearance. However, it has a mild camphor scent that sets it apart from the other wild plants out there. The flowers bloom around late summer. It was just in the 1970’s that mainstream scientists began performing studies about its potential alternative health benefits but practitioners of traditional Chinese medicine have been using it for thousands of years. It’s even been stated that the reason the Chinese and North Vietnamese won the Vietnam war was because they had a cheap, effective malaria cure with no side effects. What was it? You guessed it: Sweet Annie Herb. The Bill Gates Foundation has reportedly spent quite a bit of money researching the many health benefits of this wonderfully nutritious herb. Alternative names include Sweet wormwood, Annual mugwort, Sweet sagewort, Qinghao and Annie’s Remedy. Who would benefit from Sweet Wormwood? Sweet Wormwood herbal tea is beneficial for malaria patients. For those who are suffering from skin fungal infections, they can apply a salve made from this herb in the affected areas. Take note that some people are allergic to its active substances. If you experience sneezing, headache and skin irritation, then this herb may not be for you. It is commonly used as a treatment for malaria. It is used to relieve fever and jaundice. It is packed with flavanoids. Flavanoids can combat inflammation, viruses, disease and allergies. It can help prevent certain types of disease including lung, breast and colon disease. It helps in treating leptospirosis. Applied topically, the herb can exhibit the positive effects of its anti-fungal properties. This makes it efficient for athlete’s foot, ringworm and other fungal skin conditions. Sweet Annie tea is effective in treating malaria and fever because it contains a substance called artemisinin, which can kill the malaria virus upon contact. High temperatures destroy the artemisinin in Sweet Annie’s, so extraction involves low temperatures. In laboratories, artemisinin is synthesized and marketed in malaria treatment drugs. Artemisinin has been proven to be more effective than the previous malaria medications before it and ongoing research is being done into its anti-disease properties and ability to fight deadly acanthamoebiasis. Aside from combating malaria parasites, artemisinins possess antiviral, anti-inflammatory and antifungal activities. 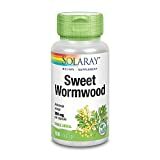 This indicates the potential of Sweet Wormwood as a relief for hepatitis, herpes and flu. Administration is particularly easy. 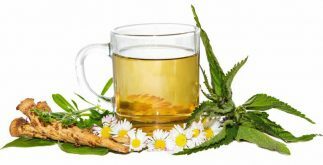 You can take Sweet Annie internally as tea, tincture or extract. When it comes to treating disease, the substance artesunate found in the Wormwood herb can help slow down the proliferation of disease cells. Should you take advantage of Sweet Annie’s medicinal properties? Sweet Annie tea has a good reputation when it comes to treating malaria. Even though some medicinal claims need more evidence, the effects of its active ingredients have been proven beneficial many times in laboratories. I’m currently doing research on using Sweet Annie herbal tea for weight loss and will be posting reviews of supplement products anyone can buy at GNC or Vitamin Shoppe. Please check back soon as I’ll be adding my findings to this post then. I’ve had toenail fungus for years, tried everything – except Lamasil pills — with no luck. 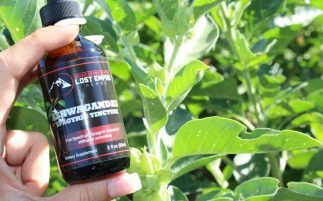 Is Sweet Annie more effective than oregano or thyme oil for toenail fungus? Look into laser therapy for toe fungus. It works fast (considering that the new nail does need to grow) and does not have side effects.